This is a sponsored conversation written by me on behalf of Pizza Hut. The opinions and text are all mine. Let’s be honest. Sometimes I just DON’T feel like cooking dinner. Even though food and cooking is my passion, every now and then I just need some take out! Jeremy and I love getting pizza and wings from Pizza Hut. Especially on Wednesday’s $.60 wing night, we are all about that! 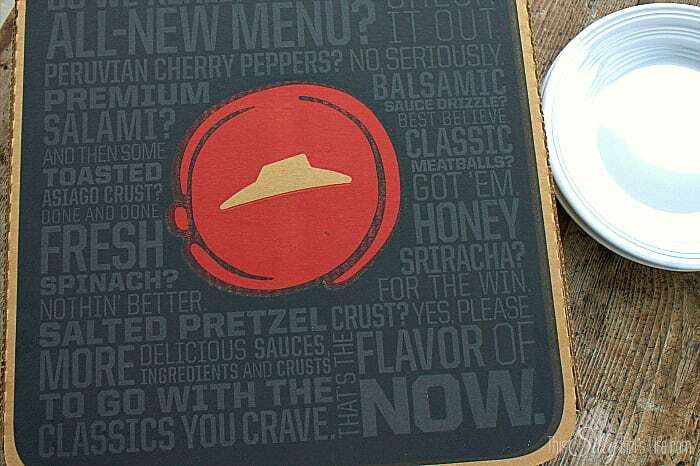 I was really excited to try Pizza Hut‘s new Flavor of Now menu! They have a bunch of new specialty pizzas with new ingredients and combinations of flavors. When I was going through the new menu, I just knew I had to try the Cherry Pepper Bombshell. 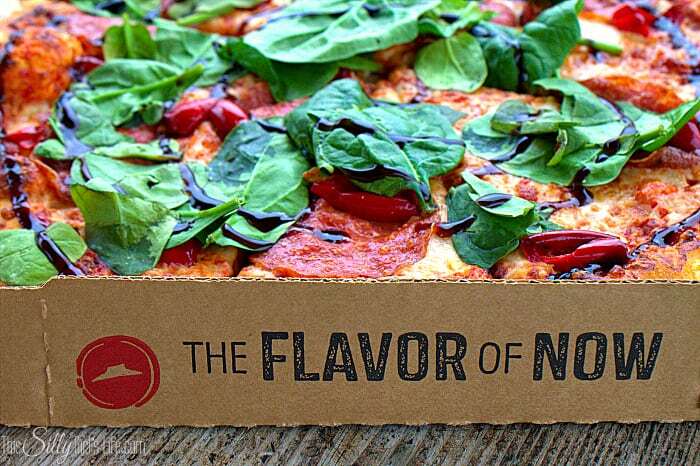 It has premium crushed tomato sauce, salami, Peruvian cherry peppers and fresh spinach. AND, flavored up with toasted Asiago cheese on the crust edge with a balsamic sauce drizzle. Oh my. This is an amazing flavor combination. Slightly sweet from the balsamic, a hint of spice from the cherry peppers and a crust that everyone will love to eat! I’ve always been a pizza crust lover and never waste any of it. I’ve even been known to eat Jeremy’s crust that he would normally toss, ahem. BUT, with all these yummy new crust flavors not a bite will go to waste! I can’t wait to try the salted pretzel, honey sriracha and ginger boom boom, I can’t pick just one! The best part is, you can flavor up for free. 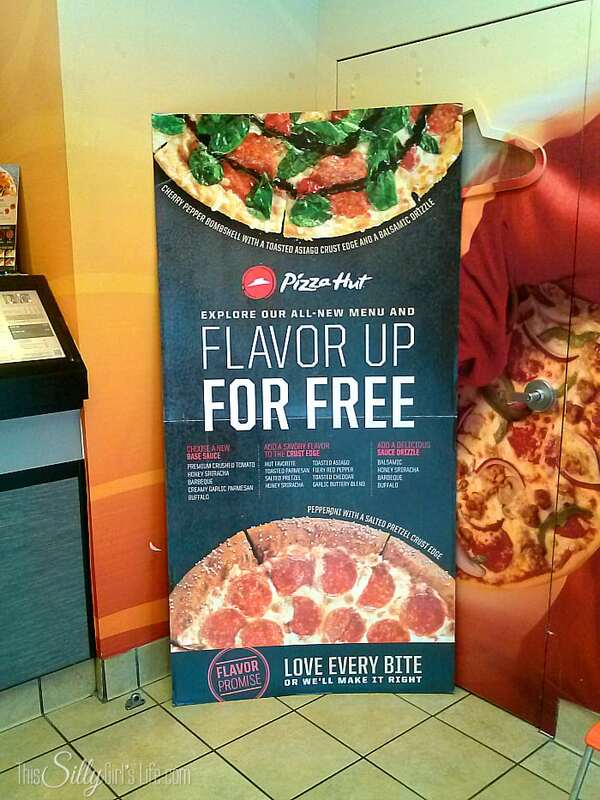 Meaning you can pick a crust flavor and sauce drizzle for any pizza, FREE! That’s pretty awesome! 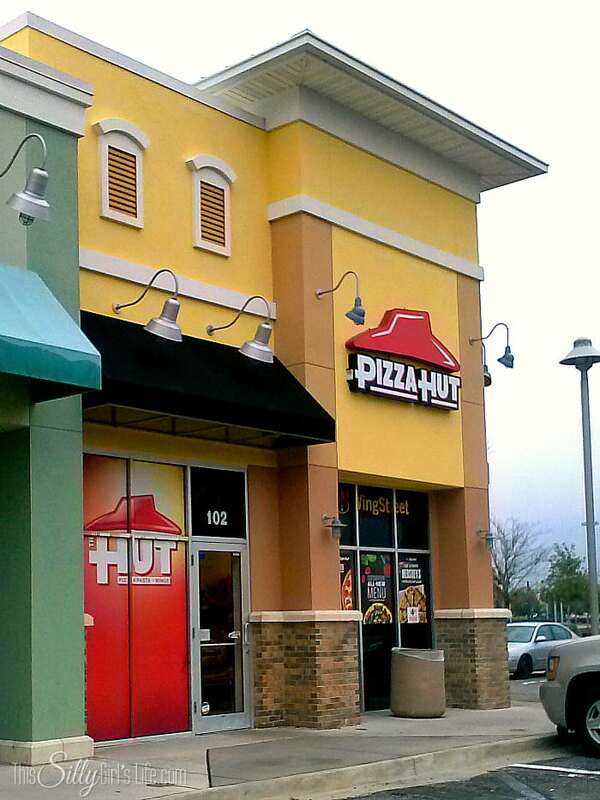 But, of course if you love the classic version of Pizza Hut, they still offer them as well! So, make it easy on yourself one night (or more! hehe) and try the new Flavor of Now menu at Pizza Hut. You can call your local store or click here and order online, simple as that! 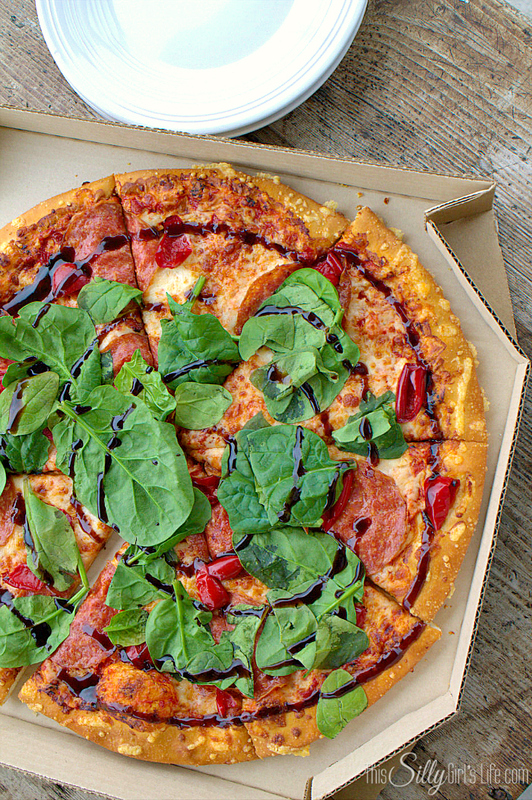 Give Pizza Hut’s all-new menu a try with 5 premium new ingredients, 6 bold new sauces and 10 amazing new crust flavors. 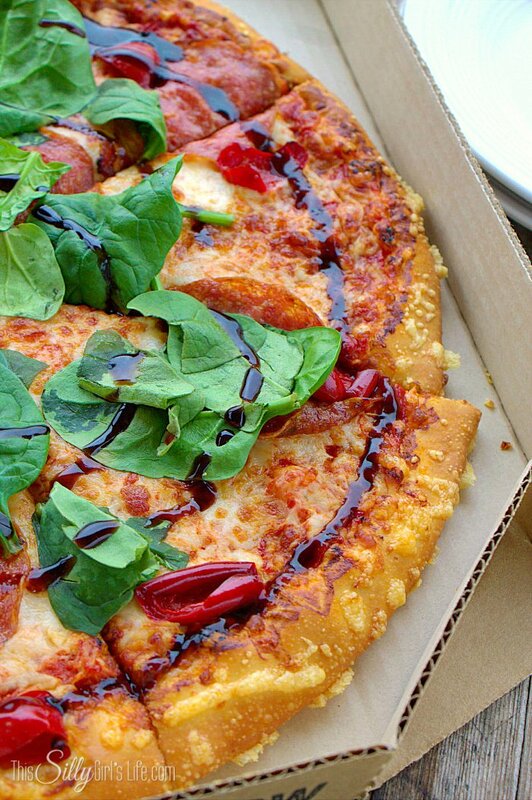 Build your own creation now at PizzaHut.com.